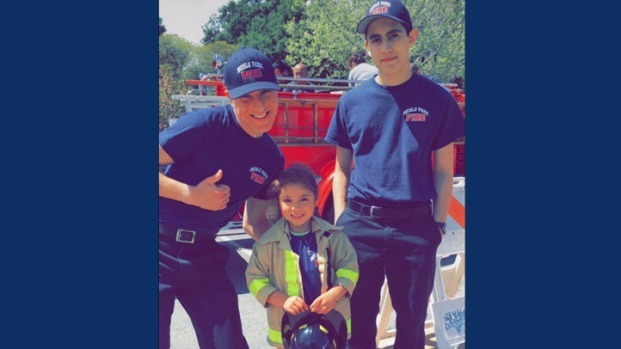 The Menlo Park firefighting community is mourning the death of three young men whose car plunged down an embankment off Skyline Boulevard in unincorporated San Mateo County days ago. Two of the three belonged to Fire Explorer Post 109, sponsored by the Menlo Park Fire District, and one was the oldest son of the Fire District's master mechanic, according to Fire Chief Harold Schapelhouman. The three close friends who died in the crash are Matthew Cruz, 18, of Redwood City; Andrew Gonzales, 18, of Menlo Park; and Ricardo "Ricky" Torres, 19, of Redwood City. They were found dead Wednesday morning in a 2010 Hyundai that had crashed overnight. When the three boys turned up missing Wednesday morning, Rudy Torres, the Fire District's master mechanic and Ricky Torres' father, Gary Cruz, father of Matthew Cruz, and Jason Perez, Andrew Gonzales' brother, searched for them, Schapelhouman said. 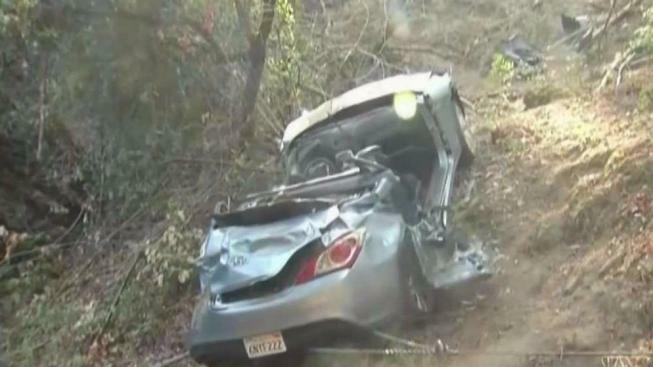 They found the boys about 50 feet down the embankment, in the Hyundai. The roof was crushed. Though still very young, the three friends had already become an integral part of the firefighting community. Ricardo "Ricky" Torres was persuaded to join Fire Explorer Post 109 by Andrew Gonzales, who was already a member. Ricky liked it so much he entered the South Bay Regional Fire Academy in San Jose, Schapelhouman said. The Academy provides beginning, intermediate and advanced training in fire services. Mijangos, who runs the Fire District's Explorer Program. Matthew Cruz was interested in computers and programming, and attended kindergarten with Ricky and high school with Andrew, Schapelhouman said. The three friends were always together, the fire chief said. As the young men's families and friends grieve the loss, "They know they can lean on us for support as we try to come to terms with the devastating loss of these three fine young men," Schapelhouman said.